Postbox, Inc has released Postbox 5.0, a major update to its Windows and Mac email client. Version 5 showcases a new look with high-DPI support in Windows, plus adds dynamic data support to responses and templates. Other highlights include a new anti-tracking feature, Quick Post tool, new per-image scaling tool to help keep message sizes down, and global filters. There’s also 25 professionally designed email signatures and 70 business templates. Postbox 5’s headline new feature has to be support for placeholders in both responses and templates. This enables users to automatically populate emails with message data or through data stored in user-created custom fields. Once input, simply use the [Tab] key to access a placeholder, then enter the desired value before clicking Send. To support the new feature, Postbox comes with 70 business-themed templates, all of which have placeholders built in. Elsewhere, Postbox’s user interface has been restyled (including new product icon), while Windows users gain support for high-DPI displays. A new anti-tracking feature alerts users when tracking tools such as images are embedded in email to alert the sender if the message has been opened. By default such tools are blocked -- it’s up to the user to manually allow them through if desired. Postbox 5 also implements a Quick Post tool, which allows users to quickly forward the content of email to hundreds of different applications and services, from Evernote to IFTTT, Wunderlist to Zapier. A new image scaling tool coupled with message size indicator helps users keep the size of their messages down. The image scaling tool can be applied to individual images within the email as opposed to the entire message. Users can also set a threshold to receive warnings should individual messages exceed a set size (such as an ISP-enforced limit). Filters have also been improved, with users now able to apply filters globally across all configured accounts rather than just one. The feature is accompanied by a number of new criteria -- including message body, topic and attachment -- and actions, from remove topic to Quick Post. 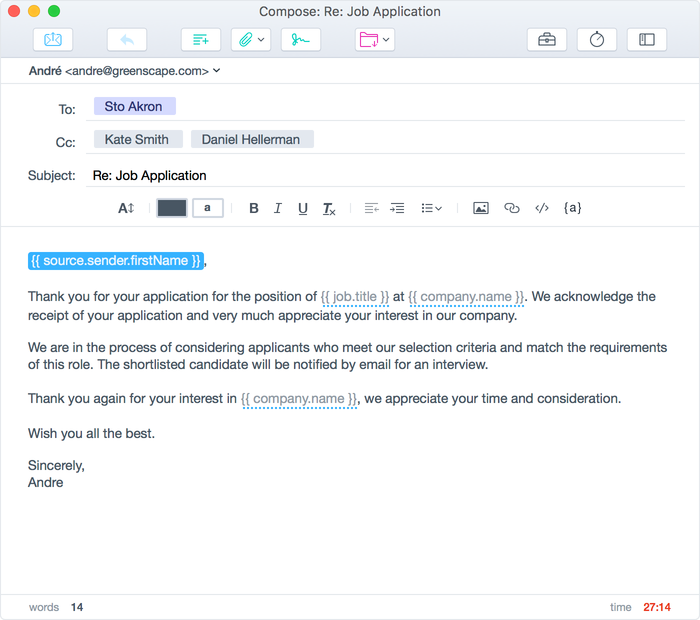 The new build also bundles 25 professionally designed email signatures to provide users with a way to end messages with a flourish -- each signature is also fully customisable. Other improvements include an easy way to insert international characters (just press and hold on any key), a revamped Favorites Bar, new storage options, automatic image rotations and new image picker. Emoji support and updated emoticons have also been implemented. Postbox 5.0 is available now as a 30-day trial for Mac (OS X 10.10 or later) and Windows (7 or later) with 4GB RAM and 200MB free hard drive space. The full version, which is free to anyone who purchased a Lifetime License after March 1st, can be purchased for $32, a special launch price (usual RRP $40). Existing users without a lifetime license should have received an email with a discount code. Each single-user license covers all the user’s PCs and Macs.